An overview of creating your own Linux based proxy server using Squid and a standard VPS. Do you need a different IP address for privacy reasons? Maybe you want to watch geo locked content from another country? Would you like to share a proxy between friends and family? This article will show you how to setup a Squid proxy on a cheap VPS located just about anywhere in the world. You'll be up and running in less than 30 minutes! Many people already have a VPS sitting around doing stuff (web hosting, email, file server, etc.) and as such already have the main component required in order to build a personal proxy server... a VPS. I happened to have a spare UK Virtual Private Server not doing much, so decided to install a proxy on it. In the vast majority of cases adding proxy capabilities to your VPS is a simple process and not nearly as complicated as you may believe. In addition, it won't cost you a penny above what you are already paying for the VPS, as there are no additional software or hardware costs using the method outlined here. Having the correct virtual hardware and software available on your VPS is critical to ensuring things go without a hitch. In this article I'll show you how you can get your VPS proxy server up and running in less than an hour. Make sure you are running some kind of Linux variant (e.g. CentOS, Fedora, Debian, etc). All the software I use to setup my proxies uses Linux based software, so this is essential if you want to follow my guide. Command line access will be needed to configure your VPS. Have you got working SSH access? You know the one, it looks like the old DOS interface from back in the 90's. Make sure you have a public IP address for the VPS. Your hosting provider should have sent you the details when the VPS was deployed. A great Windows SSH client is PuTTY and is freely available from the authors site. To find your VPS SSH connection details you should check the email that your VPS provider sent you when you signed up for the service. As a side note, my favourite Linux operating system for this at the moment is Scientific Linux 6. It is very stable and has some great repositories. In addition, it is a Red Hat based distribution, which I prefer. With the above in place we are now ready to get started! My proxy software of choice is Squid. This is probably the world's most popular software and is used by many huge organisation, in many cases, for huge projects such as Wikipedia, etc. Squid has all the features you would expect from a great proxy and much more. It beats many commercial proxy applications hands-down with regards features, stability and certainly price. Installing it on your Linux VPS is a piece of cake and should take no longer than 5 minutes! First you need to login to the VPS command line interface using an SSH client such as PuTTY. Installing Squid is going to be slightly different on each Linux distro. To install it you should use your Linux OS package Manager, for example, yum in any Red Hat based distribution. If the Squid package is not available from your current repositories, you should add one that does have it, or install from source. Having said that, most distributions ship with repositories that include a Squid package. Installing should only take a few minutes and now we move onto the more complicated part, configuration. To configure Squid, you will need to make changes to its configuration file. On Red Hat based system this is usually located at /etc/squid/squid.conf. You should start working your way through this file making changes where appropriate for you environment. The configuration file is very well documented, so most options should be self explanatory. There is however, one setting that is critical. It is the ACL (access control list) and should be your first port of call whne making changes to the configuration. After you have made your configuration changes, you should restart the Squid process to ensure the changes take effect. On Red Hat based systems, this can be done by running /etc/init.d/squid restart. How much RAM do you have in your VPS? By default Squid listens for connections on port 3128 and this is something that you may want to change in the configuration file to reduce the number of hacking attempts on the system. After configuring Squid to your liking you now have a VPS proxy to share with friends or for private use. 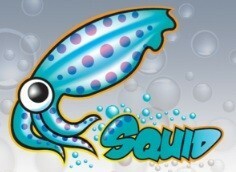 Squidoo was a popular revenue sharing site, similar to Wizzley, Zujava, InfoBarrel and HubPages. Actually Squidoo and HubPages are always compared as the top two of the trade. This is an article about Facebook, the popular social network, and how it has actually become a chief factor in anti-social behavior.